I’ve been working on a new project called Hello Ann Arbor – I’ve been living in Ann Arbor since the Fall of 2008 with two short breaks. The first break was when I studied abroad in Barcelona , Spain aka Barshawlona. In my studies abroad I focused on Digital Media & Web 2.0. 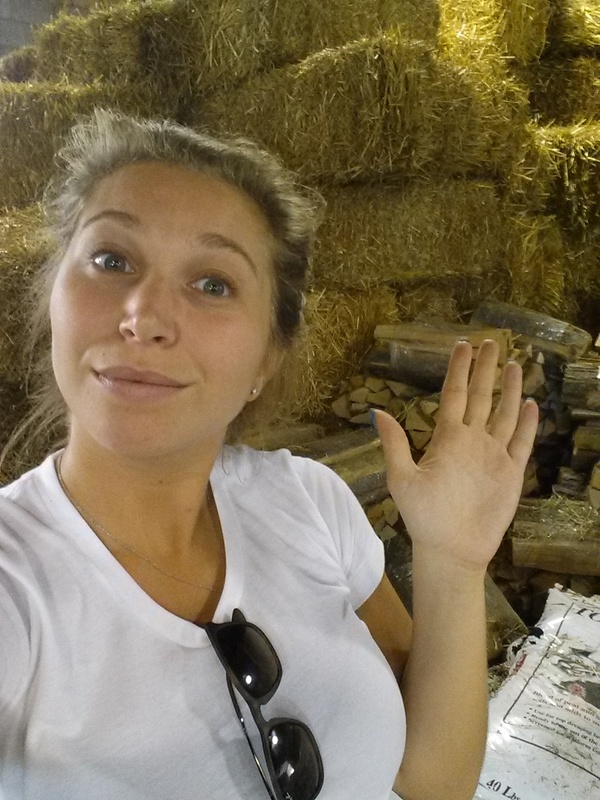 Of course I blogged about my adventures and the media while in Barshawlona – check it out. I am intrigued by the way society is effected by the mass media. So yes back to my new project – @HelloAnnArbor on Instagram and I have been making short less than 1 Minute Reads about Ann Arbor Action on Medium. Check um out & Let me know what you’d like to see more of ! #TGIM – Thank G-d It’s Monday – well yesterday was the first time i ever came across the abrev #TGIM – very bizarre but i went with the notion and continued to follow through with my version of Mondaze. Mindful Monday was a sweet sweet success yesterday. Waking up on Monday Mornings I turn quickly to “snooze” which I think could be re branded as a time dedicated to meditation. I do not use my “snooze” to just roll my eyes back into my head & dream land but a moment of clarity. Signing up for not one but TWO classes at The Barre Code in Ann Arbor : they have two fabulously convenient locations on is right downtown Ann Arbor on E Liberty between Maynard St & Thompson Street and the second is off Plymouth Road. The owner of The Barre Code Adri is a honey and i love supporting local startups & women ! #Girlpower – you don’t see too many men around The Barre Code but don’t let that stop ya felllas ! Within the first thirty minutes of being awake and up & moving I like to have a piece of fruit to rev up my metabolism. Typically a Granny Smith Green Apple or Bartlett Pear. Moving forward to lunch I walked over to my new go-to loving lunch spot Salads Up for a Mix It Up Salad filled with edamame, chic peas, cucumbers , red peppers, avocado , olives and broccoli with a spicy shiracha dressing! Dank. Lady J ( maybe you remember her from the ALS Ice Bucket Challenge Videos ) whipped me up some mouth watering orgasmic roasted Brussels sprouts for dinner along with our favorite breakfast for dinner omelet while i took on my Mondaze Motion hard. Mondaze are the perfect day to take your tasks head on >>>> this weeks mondaze motion was to figure out that darn crock pot that is taking up so much space in our kitchen ! One of my new favorite social networking sites Yummly.Com allows amateur and professional chefs alike share recipes in a YUMMY way ! Check out my Yummly Collection of #1307Daily Recipes . FRENCH ONION SOUP you are my b*tch and i’m making you mine ! 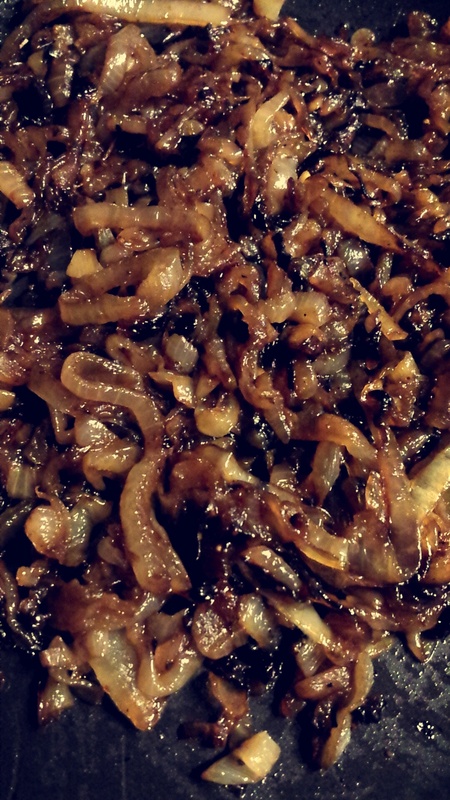 tipping this off was to caramelize onions! Follow along to hear more about how my #1307Daily activity of the week goes down ! Keep Mindful and keep it Up ! You heard it here first LIVE Livin Like Lindsey – !! The last six weeks of my life have been enamored with FLASH TATS ! 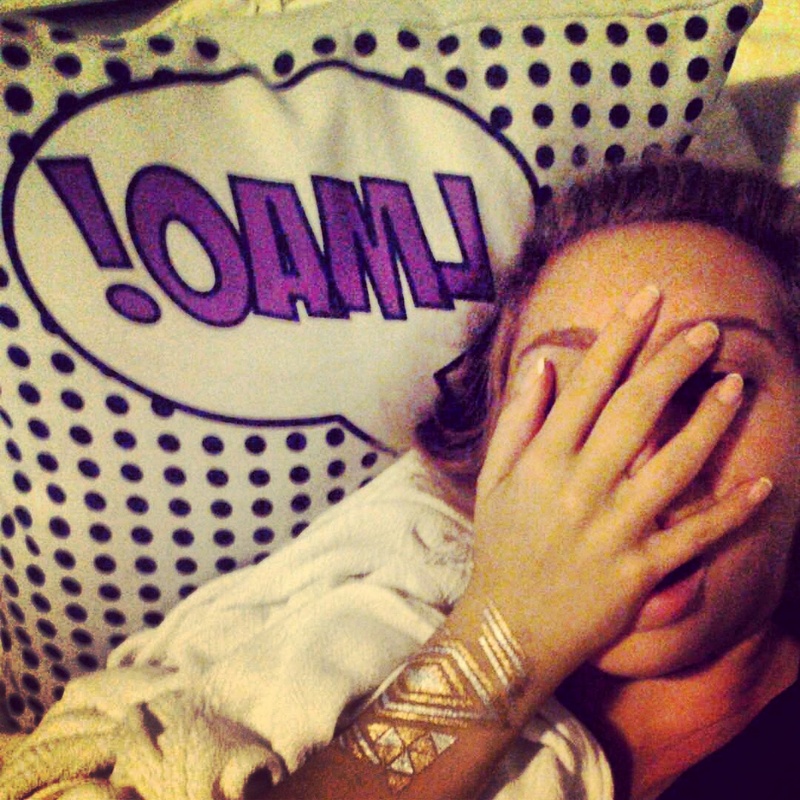 I am an avid user of Tumblr and through some scrolling saw #FlashTats on a blog ages ago. The imagery stuck with me a temporary tattoo for trendy trinas ! aka the baddest betch or just an adult who wants to have their day brightened ! 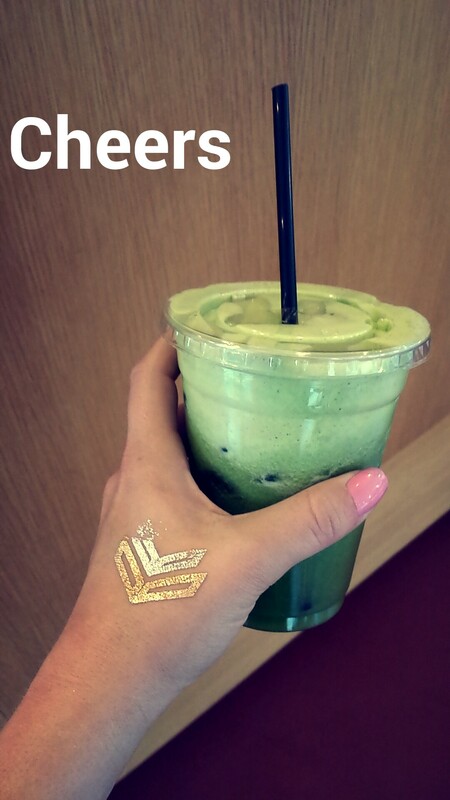 FLASH TATS! FLASH TATS! FLASH TATS ! The best way to pump up your day! #InformativeInteresting this post will provide you with both types of information ! My pensive self is photo’d and you can see the #FlashTats covering my fore arm. This series of FlashTats is a made up of a mixture of different FlashTats cut up and re-arranged. HiGH FIVE – this photo on the right was taken at the Golden Gate Park in San Francisco , CA on a Friday afternoon. HIGH FIVE #tgif ! > Outside Lands 2014 took place during the first weekend of August 2014 in the Golden Gate Park. August 8th through Sunday the 10th. The bracelet charm duo shines bright at #OSL14 ! At the festival it felt like a majority of female attendees supported at least one #flashtat on her limbs, body or fayce. when strolling the Richmond area of San Francisco we walked to the 22nd block and found ourselves at the door step of Fabulous Nails Spa ! WOW ! We entered and were impressed by the green tea & clean zen atmosphere. I picked pinking of you OPI ! Spotted here in the photo on the left. 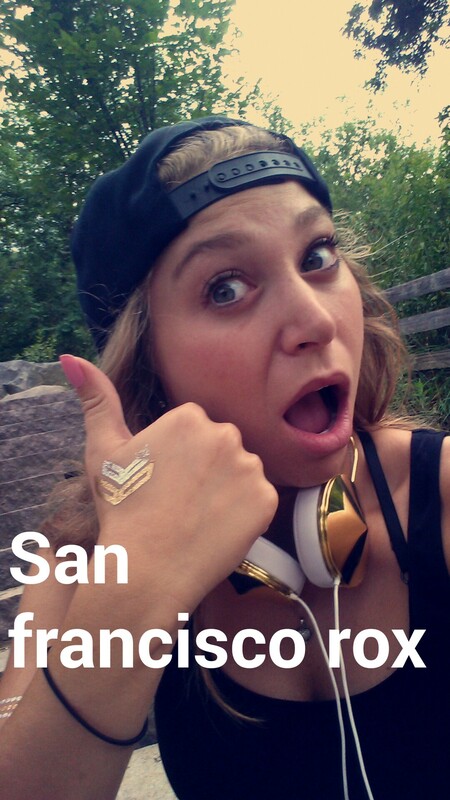 a THUMBS UP for Fabulous Nails, Flash Tats and San Francisco ! FTC : For The City snapback hat purchased at the Haight Street Location, San Francisco, CA. Located in The Nichols Arboretum , Ann Arbor, MI 123 acres of pure nature. I highly recommend a walk/run adventure in this sacred space. What will you find here is that nature runs far and wide , a variety of areas for resting and relaxing, stone steps and people playing frisbee. 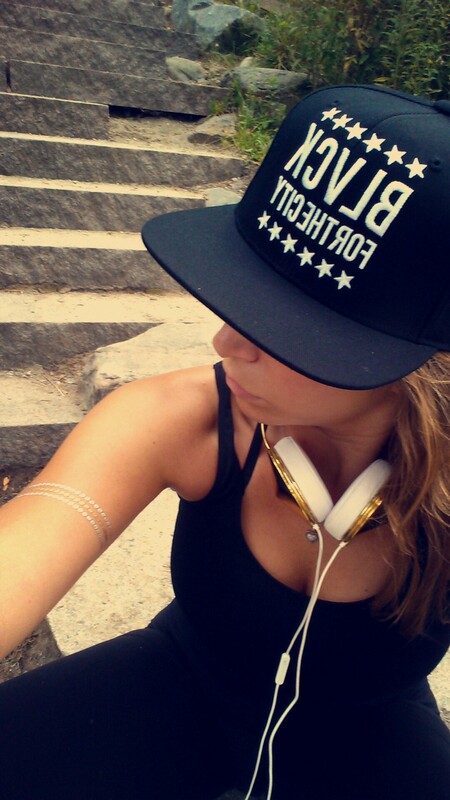 Photo’d an arm band of flash tats and the front side of the FTC Snapback. I was attached to the FTC shop on Haight – cuz i like to put on for my city – DETROIT. On the right : Cheers! to a Motivation Monday with a green drink that was pressed from a central fugal juicer at the GlassBox Coffee Shop on South University, Ann Arbor, MI. Going to this shop right when it opens in the morning is important to me because the juicer should be the least contaminated by other ingredients ( I have an oral sensitivity to certain fruits & vegetables) . 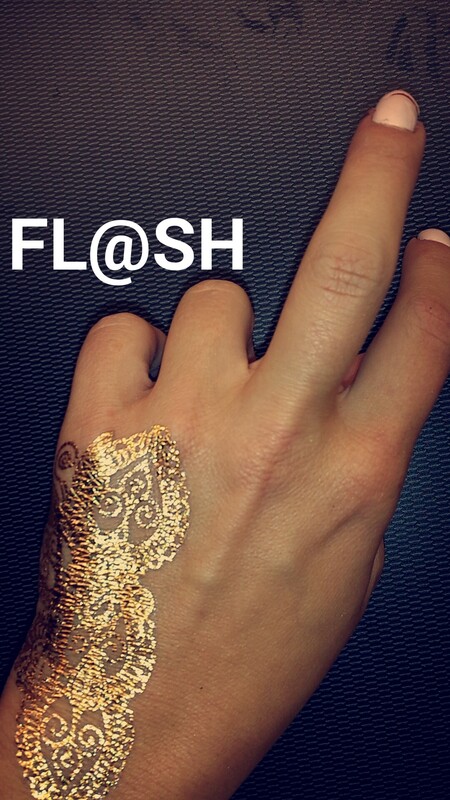 The flash tats featured in the photos above lasted for about a week more or less depending on the placement. IE. when on the hands they tend to come off more quickly due to hand washing and lotion. FlashTats are bright and cheerful – they maintain the sparkling gold , silver or bold black for quite a few days! 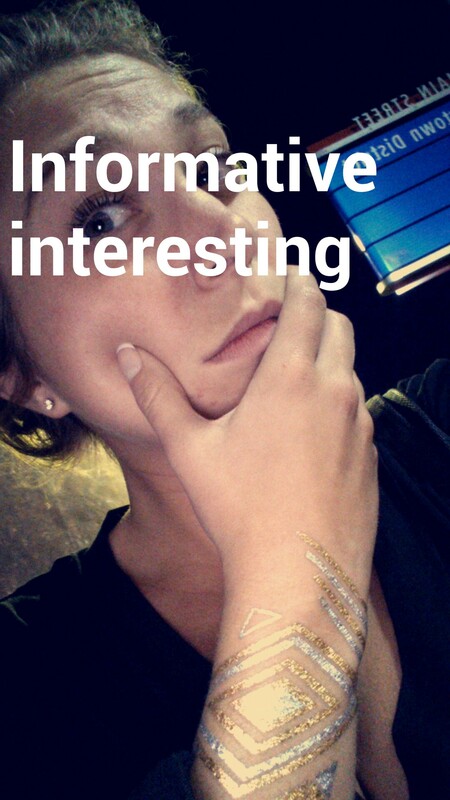 FlashTats spark a curiosity – people get to talking – what are those ? where are they from? how can i get them? what did you say they were called again? who wears these besides you? FlashTats are FUN ! they are the perfect addition to anytime you hangout with friends , are hosting/ attending a pre-game or just simply for a more FABULOUS DAY! FlashTat Friday ! 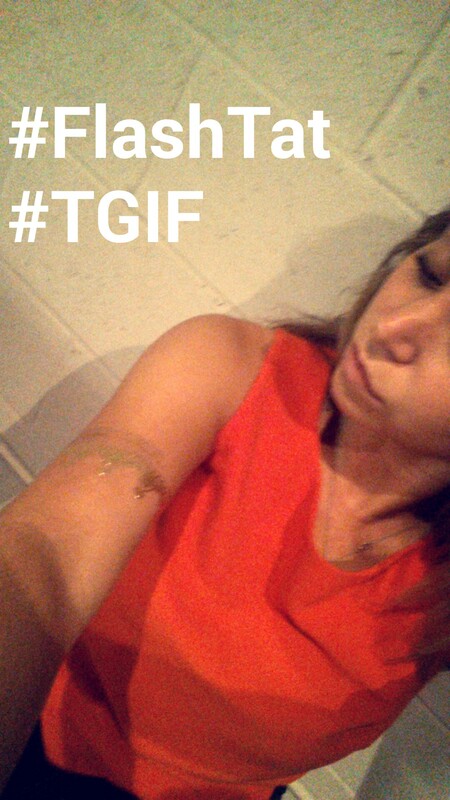 a trend in social media in the #tagboard world – applying your FlashTat on a Friday means you will definitely have it all wknd !! PUMP UP YOUR TGIF . PERiOD. Featured on the left is what resembles a crown upside down arm band – from the henna inspired line of FlashTats. Sew Pysched. 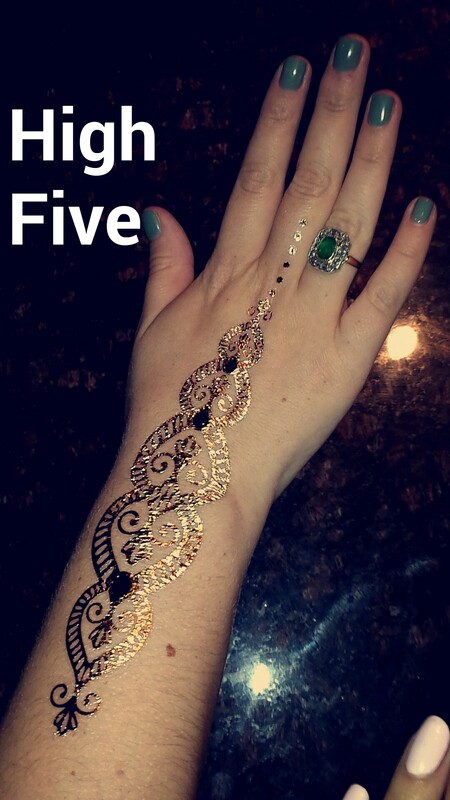 The henna inspired FlashTat stretches down her middle finger, hand and forearm. Emerald Ring to match the nails ! & time for a fresh FlashTat with Friendz ! La Ti dah time goes on and there is always more FlashTat Fun! 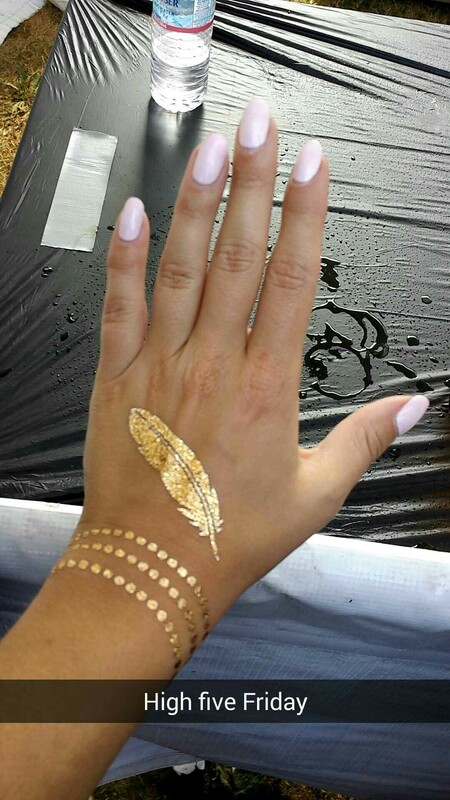 Full Fledge Flash Tats – are you feeling indulged ? Do you want to know more? The information thus far had to be somewhat informative for whatever aspect you fancy ! In observance of national Left Handed Day – I supported a re-arranged FlashTat creation on my Left hand. 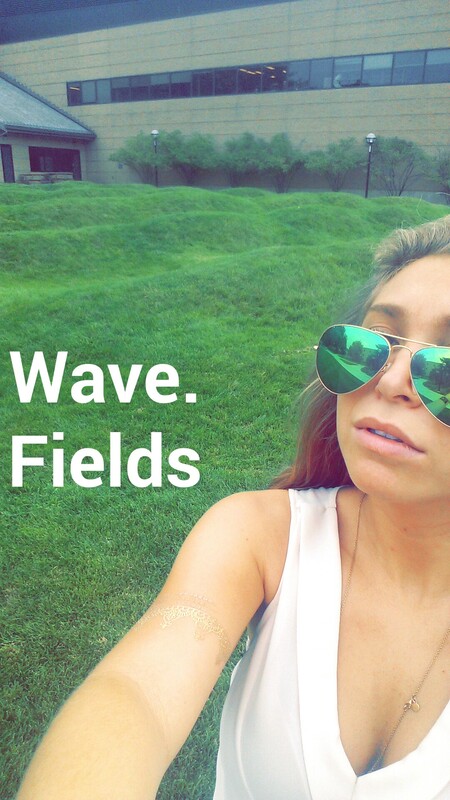 Wave Field on Hayward Street on the University of Michigan’s North Campus – perfect match to the 50 green wave bumps Maya Lin designed is the Ray Ban Aviators with Green Lens. Again featured on the left arm band is the upside down crown. A have a bit of a green thumb these days, ever since I posted about decorating your desk at the office or at home! I was inspired to bring life into my life in a way other than having a baby. I have always eyed out the plants at Plum Market, and on the eve of my 24th Birthday I thought why not just buy one already. I unknowingly purchased an Aloe Plant – which has so many uses you wouldn’t believe. YES this is where the Aloe comes from to help your sun burns, if you break off a branch of your Aloe plant, you can keep it organic and not buy some weird goo from the drug store. 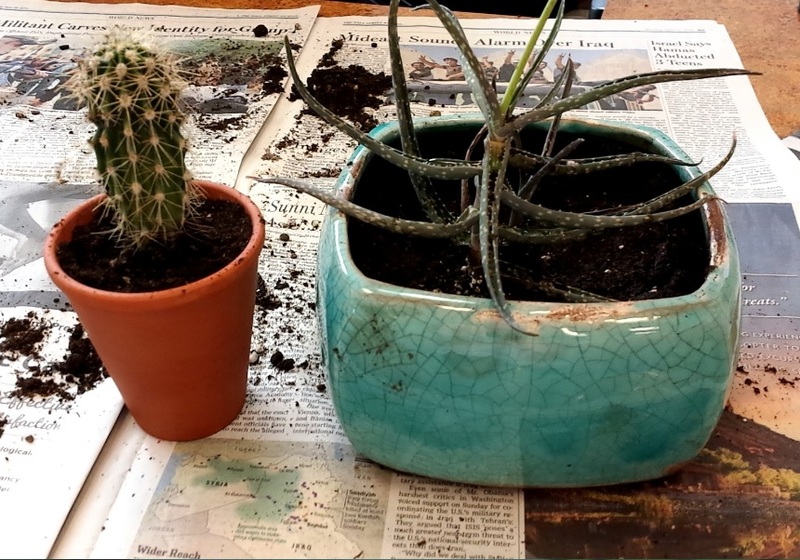 Meanwhile, I have been keeping this little cactus plant on my desk since the end of April 2013, a resident of my building where I work gave it to me as a gift that he brought from home in Arizona. My desk isn’t the closest one to the window, so I deprived this cactus from proper sunlight for about a full year, it looked weak. My new co-worker has an extraordinary green thumb, and advised me on how to bring it back to life, the first step being put it by the window! DUH – cacti are from the desert where it is hot as balls and filled with sunshine. I began to feel a need for more plants and more oxygen – I traveled down to the Eastern Market in Detroit with 2 friends and we traveled from Shed to Shed ( IF YOU HAVEN”T BEEN YOU GOTTA GO …. on a SATURDAY!) Walking and walking, kind feels like you are a cow in a heard with all the people down there, we found ourselves “starstruck” by the GIANT SHiNOLA watch hanging from the ceiling, as it matched exactly to the one on my friends wrist. Conveniently this was in front of a plant booth – and I found my perfect little plant that I have NO idea what it is, but that I like its looks – I instantly purchased it for $2.25 ….. pocket change. I was so excited by something so small, I carried around for the rest of the afternoon in a small paper bag as this little plant including the pot is smaller than my hand. I re-visited the Eastern Market two Saturdays later to buy 2 more cute little plants, I will have to post photos of them later when I transfer them into more fabulous pots. The other day I was noticing my Aloe plant was lookin’ not so haute and I showed it to my green thumb co-worker. He said that it had a big sprout popping out the top, but its tentacles were looking slim and crispy. Therefore, it was time to upgrade its home !! We walked over to the Downtown Home & Garden shop on S. Ashley in Ann Arbor. Here I found a lovely blue pot – that went along with the cacti theme & its just my favorite color. He instructed me to purchase Organic Cactus Mix aka soil bag of stuff to re-pot my plant, because in a bigger home obviously would need more and fresh soil. 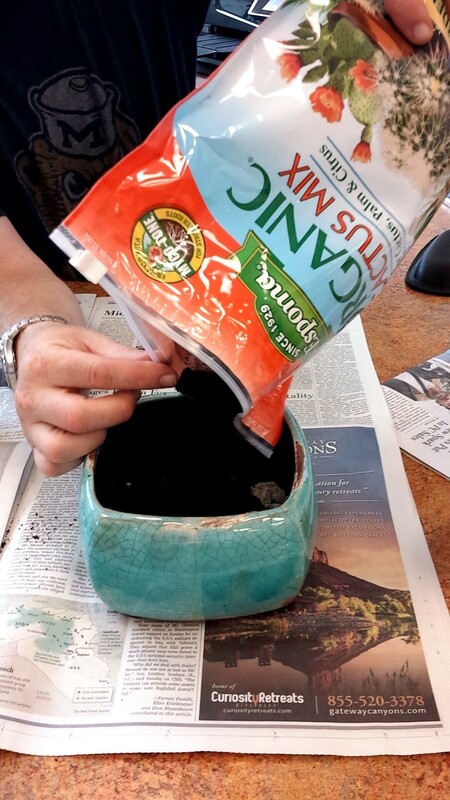 The bag of soil was $3.99 – pretty cheap and it can assist in all of my 5 plants getting a new home !! 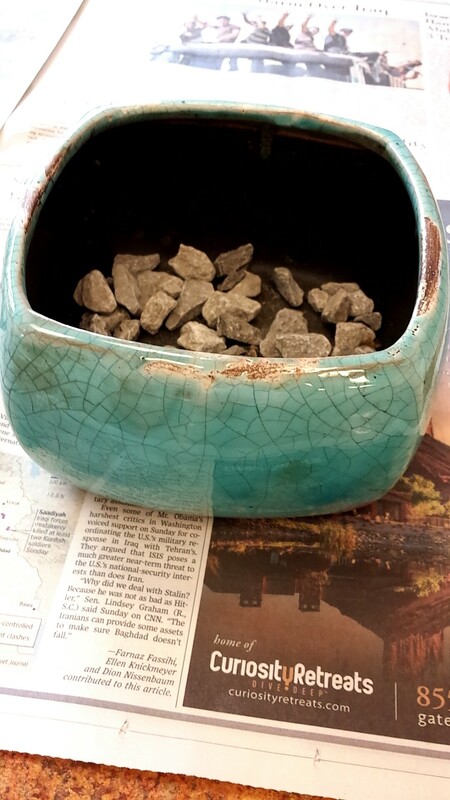 You have to fill the bottom of you pot with rocks, to help with drainage of the water that you pour in once a week for your plant. I conveniently got these from the ground outside. FREE ! wahoo! Apparently, cacti family plants like to have their soil patted down firmly to them. My Aloe plant used to live in the Photo’d cactus plant’s new home. It was easy to upgrade both of their homes. I can’t wait to upgrade my other 3 plants to their new homes once I find a fabulous pot for them. Added benefits of having plants in your home is that they are eating up all your CO2 and pumping out Oxygen. This is a great thing for yourself !! Valentines Day 2014 had a bit more love than years past … I have been in a Monogamous Relationship for quite some time now ! Outside of receiving beautiful gifts and fun treats from Parents & Grandparents , I was blessed with gifts from my monogamous partner ! 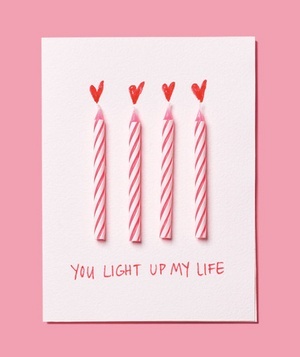 I searched far and wide out on the world wide web for fun & fabulous ideas to send my boo. One cute card idea I learned from Pintrest is posted here … it’s a very simple DIY with items you probably have around your household or apartment ! I have just altered my Pintrest account to a business page , I am hoping that more people will follow my boards as I am striving in the next 100 days to apply for BlogHer.com. Side note on my history with blogging – I have been causally blogging about my life, experiences, and school work since 2004. Crazy to think I have been blogging for a decade! In honor of that I am going to try and become more professional with my social networks & take my hobby to the next level. I have come across a fabulous network BlogHer.com that is solely for Women Bloggers ( and maybe trans also hehe) that assists in basically making you famous. One thing that I have lacked in my blogging is consistancy …. ! To apply to be apart of the BlogHer.com network & officially published through their site is to have blogged for at least once a week for the past 90 days. Unfortunately my blogging is so spotty – as I just blog when something pops into my head that I want to share and am able to get to a computer ( or now my fabulous new SamsungS4 !! ) and log onto my wordpress and publish. To try and aid my dreams of being a professional personal social media maven I have joined the Give It 100 network to help remind me to blog !! & to hold me accountable to doing so ! Even though I do not foresee myself blogging every single day for 100 days … i’m going to give it a shot ! Best case I’ll blog everyday and look cute doing it !! I will be sharing funny things, songs , articles and news about Detroit, things happening to a 23 year old young professional … that is until i turn 24 ! So stay tuned enjoy , smile and giggle with me along the way !! One thing about me is that no matter what the situation or what life tosses my way … YOU WILL SEE ME WITH MY NAILS DONE !! There is no doubt in my mind that if I ever had only $10 to my name … the dough would go to a Manicure. I think it is very important to have a manicure for multiple reasons. A) I was blessed with beautiful nail beds, why not take advantage and always have them be fab !! B) One of the first things you do when you meet someone, is what? SHAKE THEIR HAND ! 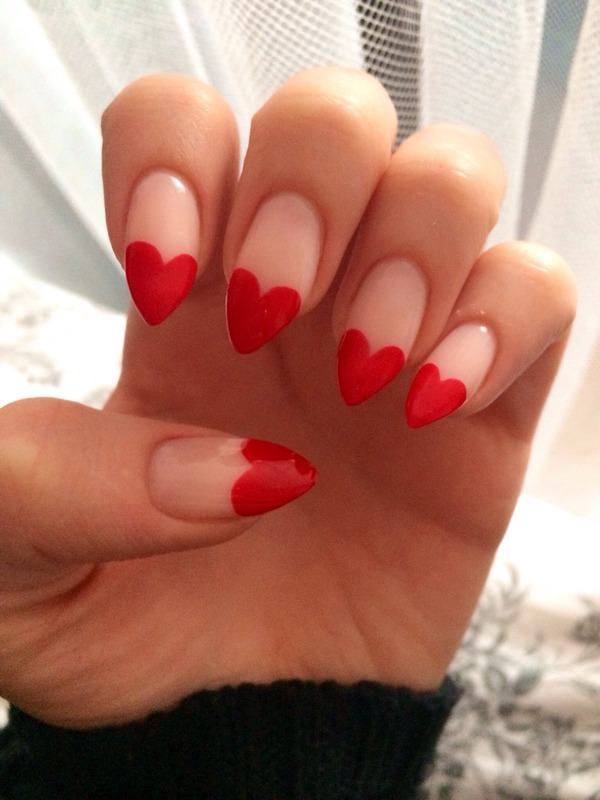 Yes – your nails are a part of your hand, the prettiest part – make it memorable. C) Looking at my typically pink nails always makes me smile ! Nail Polish can brighten your day … Right now i’m rocking OPI “I’ve Got a Date To Knight “ – its a hot pink definitely towards a Barbie Pink …! I wish I could say the nails photographed in the picture were mine, but they are not… maybe next year i’ll find an Asian who can do this for me 😀 !